Treacherous waters await the peloton as they exit the final rest day of this year’s Tour de France, no rider truly certain of how their body will have coped with a day away from the rigours of racing. 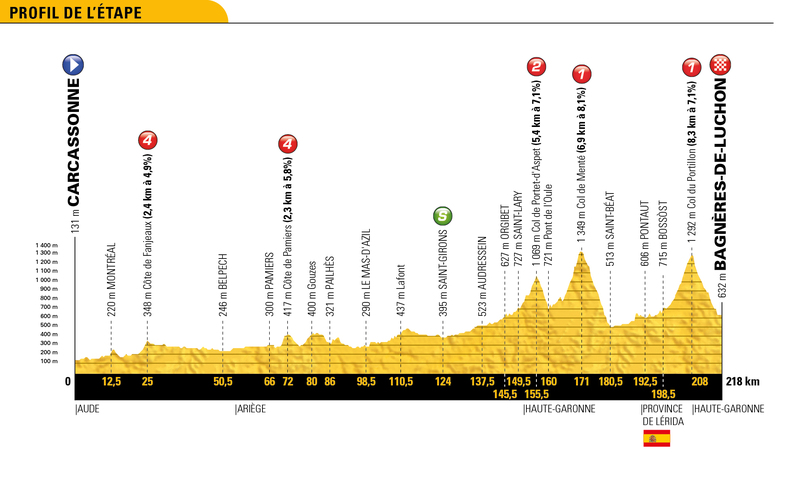 Their return begins on Stage 16, a 218km trek from Carcassonne to Bagnères-de-Luchon, featuring five categorised climb and a rapid descent into the finishing line. Looking like a key day for the mountains classification, expect the general classification favourites to be content with letting the breakaway vanish up the road and decide the honours amongst themselves on this occasion. Warren Barguil is likely to fancy another swashbuckling attempt to sweep up the mountains points, as the Frenchman has made no attempt to hide his ambition to finish in the polka dot jersey by Paris. He looked strong in the second week of racing, and if he is fortunate to have sustained this factor as others begin to wane, then his chances of success look good. Julian Alaphilippe needs to be following the moves keenly today if he is to retain his ownership of the polka dot jersey at the end of the day. 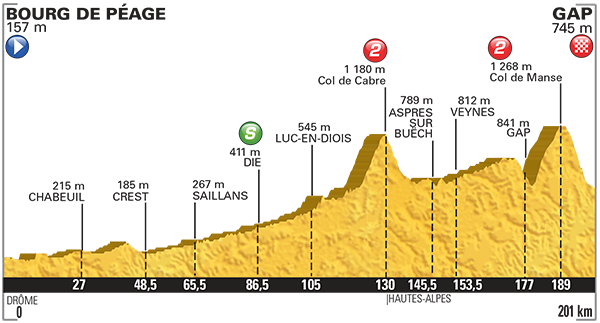 With much of the day’s climbing being backloaded on Stage 16, this could make it tough for him to follow the biggest attacks late on, as a more explosive tail end to the day from his rivals could expose the fact he is not a pure climber. Rafal Majka soon saw his general classification ambitions crumble before him once again, which no doubt means his focus will switch to taking the polka dot jersey if possible. Stage 16 is an ideal platform to really kick on in this respect, putting Barguil and Alaphilippe under some serious pressure ahead of the bigger days in the Pyrenees. Omar Fraile makes the most of his strongest form whenever possible and it would not be surprising to see him in the break again and ultimately be one of the favourites to win Stage 16. Able to manage his efforts effectively, knowing precisely when to inflict the killer blow upon his rivals, Fraile has good pedigree when it comes to grand tour stages like these. Romain Bardet seems to be the general classification rider most likely to attempt an attack in the concluding moments of Stage 16, especially with such a considerable descent down to the finish line. He could choose to ride the Col du Portillon at a fearsome pace, hoping to place his rivals on the rivet, before then pushing them into the red with another daredevil attack on the downhill into the day’s finish. Steven Kruijswijk finds himself still leading the Giro d’Italia after Sunday’s uphill time trial, now doing so with a modest margin of 2′ 12″ to nearest rival Esteban Chaves, while Vincenzo Nibali trails by 2′ 51″ after a poor TT struck by misfortune. 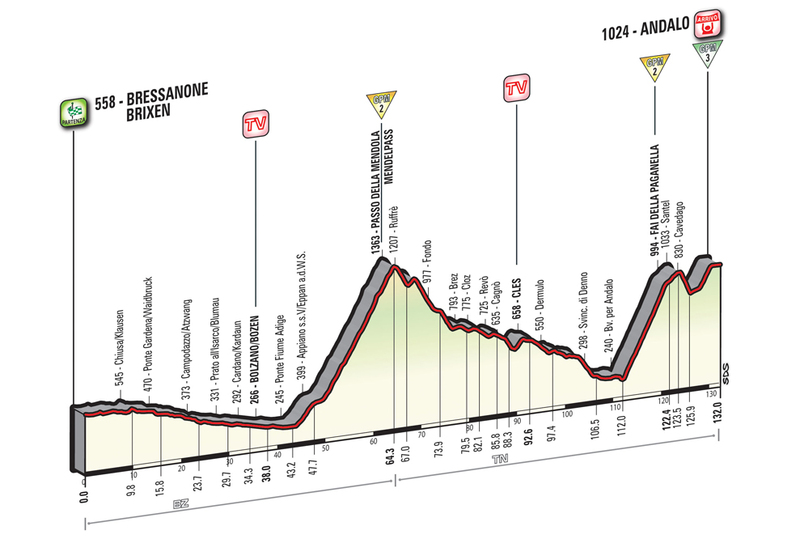 With considerable time to regain and only a handful of opportunities before Torino to do so, Stage 16’s 132km yomp from Bressanone to Andalo looks to be a sleeping dragon amongst the race for the maglia rossa. Esteban Chaves may have missed out on taking back t0 back stage wins at this year’s Giro d’Italia, but the time trial did once again reinforce the belief that the diminutive Colombian is the best climber in the race right now. He recorded an impressive split time on the steeper sections of the time trial, faster than Kruijswijk even and would have come closer to the win had the course been a tougher contest throughout. It is definitely touch and go whether a breakaway will decide Stage 16, but if the GC riders do decide stage honours amongst themselves instead, Chaves could make it two wins at the race upon today’s finale. Alejandro Valverde confirmed our belief that Stage 14’s performance was primarily a blip due to the high altitude, returning to action in the time trial by finishing third and taking time on all his rivals except Kruijswijk. The day’s finale in Andalo looks tailor made for the Movistar captain, with the softer gradients and flatter run into the line allowing him to demonstrate his prowess for accelerating on such terrain before finishing it off with a sprint if required. Much will depend on the very hectic tactics likely to dictate the day’s attacks, but if Movistar assemble a coherent chase on behalf of Valverde, there is every chance he could be part of an elite group which reaches the finish first. Vincenzo Nibali now has to animate the race with every opportunity if he is to have any chance of chipping away Kruijswijk’s lead by Torino. With bonus seconds up for grabs along with any stage win, Nibali could definitely attack late on the descent to establish a gap (TdF Stage 2 Sheffield style), after which he would become a difficult man to pull back. Given his urgent need to gain time, it is also worth mentioning that he is no slouch in a sprint finish after a stage like this, so may consider working with another climber in hope of beating them in a sprint for bonus seconds. Rafal Majka and Ilnur Zakarin offer an interesting dynamic worth taking note of during the latter moments of Stage 16, as the duo are only a couple of seconds apart on the general classification and will have no doubt been ordered to mark one another closely. Of the two riders, today’s stage suits Zakarin the most, potentially allowing the Russian to attack on the final ascent and make a move for the stage victory. As mentioned previously, the breakaway does certainly have a great chance of making it to the line if the general classification favourites leave it late to really duke it out. Diego Ulissi, Nicolas Roche, Giovanni Visconti, Joe Dombrowski, Stefano Pirazzi, Ramunas Navardauskas and Riccardo Zoidl could all walk away with the win here. Today is the final instalment of the three day tour around some of the most gruelling mountains the Vuelta a España organisers could muster up this year. Though much attention at this race was stolen by the profile of Stage 11 and its Queen Stage status, Stage 16 is a ruthless test which pits those wishing to cement their overall ambitions against the steepest gradients present at this year’s Vuelta. 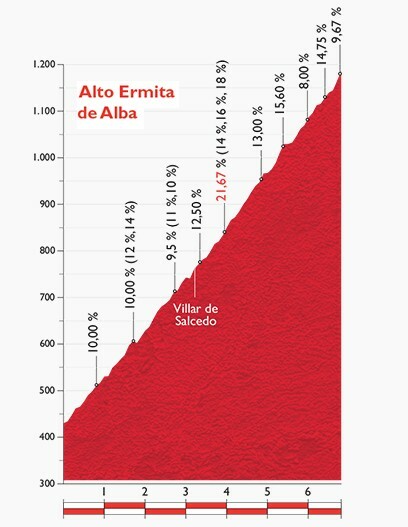 Having left the start in Luarca, the riders will begin their 185km trip to Alto Ermita de Alba by climbing immediately once the race flag has gone down. 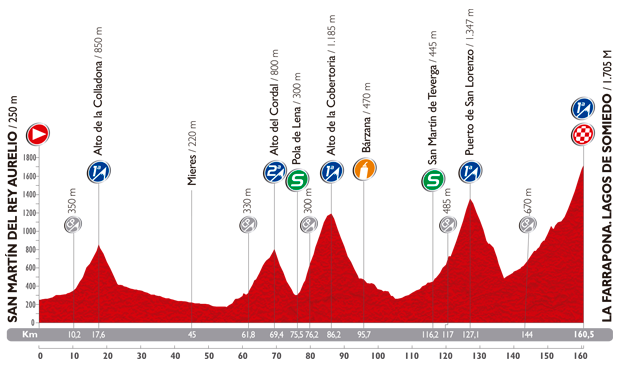 The Category 3 Alto de Aristebano (14.6km, avg 3.4%) opens their account as the first of the day’s seven categorised climbs, though the majority by far are typical Spanish drags on Stage 16. The terrain remains rolling and leads the bunch straight into the base of the Category 2 Alto de Piedratecha, a similarly styled climb as its predecessor, it is 10.6km in length and averages a steady 4.8% throughout. After this an extended period of lumpy riding follows before the start of the long descent which traces it way down to the base of the next climb of the day; number three of seven. 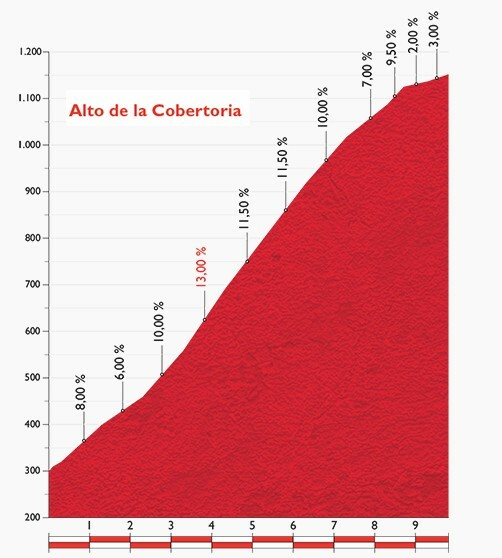 Simple enough to conquer, the Category 3 Alto de Cabrunana (4.8km, avg 6.7%) will not trouble the riders a great deal and also gives the green-light to start the harder second half of this testing stage. This is signalled by the Category 2 Alto del Tenebredo, the 3.7km ascent offering up a significantly steeper average gradient of 8.9%. From here the last remaining stretch of flat roads will offer the peloton a chance to take on food and drink, position themselves well and generally prepare ahead of a triple header of mountains which offer no level terrain for the rest of the day. The Category 2 Alto del Cordal will act as the springboard into this next passage of climbing, the 8.5km long and 5.7% average gradient ascent breaking the legs into the impending upheaval of the remaining two climbs. Having completed the descent from the summit, the bunch begin climbing the Category 1 Alto de la Cobertoria, this 9.8km worth of climbing billed as a misleading 8.7% average gradient, whereas the riders will soon discover that this extremely steep ascent spends most of the time in double-digit percentage figures; the final 2km only offering light relief. Even the descent will be a testing and stressful affair given its rapid and technical nature with less than 20km remaining by this point. Having finished their plummeting downhill run, they reach the base of the day’s horrendous summit finish, the Category 1 Alto Ermita de Alba being 6.8km in length but averaging a soul destroying 11.1%. For nearly the entirety it remains above 10% and almost doubles its average gradient at one point to reach a staggering 21.67% around the midway point. The easing to the summit is only relative here, gradients of 17% and 14% appearing with only a kilometre to go. It will take a gargantuan effort to simple survive this climb in good shape, let alone win it and take time over the winner’s rivals; the race for many will be lost here. Joaquim Rodriguez executed his performance yesterday exactly as forecast by Spokenforks, pacing himself during the standoff between Nairo Quintana and Fabio Aru, eventually kicking away solo in order to drop everyone else, win the stage and only miss out on the leader’s Red Jersey by a solitary second. Having resisted the temptation to expend his energy in order to win stages earlier in the race, Rodriguez now appears to be peaking at the perfect time as his rivals struggle to match his pace. There is no doubt that the Spaniard will have to make yet another strong move today, this summit is the final chance he can make gains in the general classification by winning and taking bonus seconds ahead of the individual time trial. If the big names take it easy once again on the final climb, it will tee Rodriguez up neatly to launch another late blistering attack upon the type of steep gradients he is notorious for dominating upon. Fabio Aru appears to be wobbling somewhat and is lucky to still be enjoy life as the overall race leader at this year’s La Vuelta a España. He similarly needs to gain time here in order to accumulate a cushion ahead of the individual time trial and will possibly benefit from this much more attentional conclusion to the day. Though he does have a good burst of speed for on these gradients, he will struggle to match Rodriguez in his current form, but could instead attempt to set a much harder pace from the start of the climb in order to blunt Rodriguez before he can attack. Nairo Quintana is still on the up since being ill in the opening week, but still under performed in the eyes of many on yesterday’s summit finish. He is likely to ride more conservatively than his rivals, utilising his teammates to set a strong pace on the front, before a process of elimination leaves only a handful of riders left. The Colombian is better suited to today’s finale than yesterday and if he decides to almost time trial his way to the top, rather than attacking hard to drop the likes of Rodriguez and Aru, he has a strong chance of winning. Mikel Nieve has a had a very good performance since taking over leadership duties at Sky in the wake of Chris Froome’s abandonment. The Basque rider is a pure climber and on extremely steep roads such as this, it is easy to envision him coming to the fore and challenging for the win. Much like Quintana, he will benefit from a high, yet even tempo throughout the climb, rather than having to match the potent accelerations of riders such as Fabio Aru and Joaquim Rodriguez. Rafa Majka is really improving his claims to the overall win in the last couple of days and should now be considered a serious danger-man to those billed as the favourites to walk away from Madrid as the champion. The Pole has the form for flourishing in the mountains having previously won the Polka Dot Jersey at Le Tour de France, making it difficult to doubt his credentials for a great showing on Stage 16. Ultimately, due to his status as a lesser contender for the Red Jersey, Majka will be allowed to follow the wheels on the final climb and this might make all the difference once fireworks begin erupting. The Alps are weighing heavy on the minds of those with general classification hopes by now, but their focus will have to remain in the present as they are demanded to navigate a stressful Stage 16 which might see some unexpected moves amongst the top riders. One of the longer stages at this year’s Tour de France, a 201km trip from Bourg de Péage to the ever present tour feature of Gap, which forms a constant rise from start to finish. Though an uphill drag from the off, it is not until 120km have passed until the first categorised ascent of the day begins to ratchet skywards. The Category 2 Col de Cabre is 9.1km in length and is ridden at an average gradient of 4.6%, followed by a relatively short descent which places the riders back on the rising conveyor belt to Gap. Next on the agenda comes the famous Col de Manse, another Category 2 climb which is perhaps more famous for its following descent than its 8.9km of rising roads, all of which maintains an average of 5.6%. From here only 12km separates the frontrunners from the finale in Gap, yet almost the entire day’s stresses and anxieties are likely to be squeezed into this dramatic drop down off the Col de Manse. Not only is it a rapid affair, but the technical nature of the descent will be extremely demanding for anyone trying to form the day’s winning move. Attributes of which to find a safe passage and slip away from the peloton’s chase are only present in a handful of gifted descenders present at this year’s Tour de France. Regardless of who is leading by this point of Stage 16, they will experience the road flatten out somewhat (though still downwards) with only 3km left to race. From here a couple of roundabouts are present during the run to home, exiting onto the 1.3km long finishing straight into Gap. Truly an open stage with a raft of permutations which could see anything from a solo move to a general classification sparring session decide the outcome in Gap. A breakaway remains the most likely scenario to prove the day’s winner, likely to be a move which has been out front all day, fragmenting towards the finale as infighting begins to spread through the ranks. AG2R have a chance of being well represented in any of the day’s crucial moves with Jan Bakelants, Romain Bardet and Alexis Vuillermoz all poised make their presence here worthwhile at 2015’s Le Tour. The French pairing of Bardet and Vuillermoz are certainly the more gifted climbers present in the afore mentioned triumvirate and Bardet has already finished third twice through breakaways this year, but it is Bakelants who is likely to be the best man to back from the native outfit. With his penchant for breakaway moves and the guile to make the most of technical terrain, his current form in the mountains looks to be the cherry on the cake which makes him a contender here. Laurens Ten Dam and Steven Kruijswijk are both capable of flying the Dutch flag amongst the day’s breakaway, especially given the constant upwards drag from the very start. Ten Dam has not quite been as strong as expected, but should still function well in a move which takes Stage 16 right the way to the line. The form of Kruijswijk at this year’s Giro d’Italia was very impressive as he pursued the mountains classification, but the same form as been somewhat absent thus far at Le Tour, though remains a strong man to have in any break here. One man who is certain to ignite his campaign for a stage win during the third and final week of the race is the Canadian Ryder Hesjedal; a rider with a knack for finding victory late in a Grand Tour. He has started to animate the race as of late and will be aware of how well he went on a similar stage to Gap in 2011 where he finished third. His climbing is solid right now, though not his best, while his handy skill for descending being the real standout talent to mark him as a contender on Stage 16. MTN-Qhubeka have blown everyone’s expectations of them at this tour firmly out of the water with a stage win and a stint in the Polka Dot Jersey thus far, but their glory could still extend further. Evidently one of the most in form climbers right now after making the breakaway on some testing days is their Belgian climber Serge Pauwels. Should he decide to join any moves on the day, it is hard to picture many non-general classification contenders riding better than him of the day’s two ascents. It is hard to say how he will cope with the descent down to Gap, but could stand a chance of wining if he maintains a cool head throughout the testing run to home. Of those who standout with obvious prowess for attacking on fast and technical descents such as the one which follows on from the Col de Manse include Vincenzo Nibali, Tony Gallopin and Michal Kwiatkowski. The Italian Nibali is known for his ability to descend and is likely to apply some pressure onto his rivals (especially Chris Froome) by attacking downhill and could be allowed to go given his current placing on the general classification. His race has not gone well so far and he could in fact aim to save his tour by attempting to win Stage 16 if the dynamic towards the end of the day is beneficial. Gallopin possesses a fantastic blend of skills which could single him out as favourite should the stage win be decided by a group of general classification leaders. The Frenchman is climbing very well right now, is notorious for reaping the rewards of attacking on a descent and is no slouch should he have to sprint for the win. Kwiatkowski has been attempting stage winning moves on several occasions in the last week, showing the rainbow bands with pride and trying to do them justice with a stage win at the year’s biggest race. This might have left him a little fatigued for today, though some would argue that these attacks have in fact been his attempt to find his form as he is not perceived to be firing on all cylinders right now. He displayed his natural flair for descending earlier in the year at Paris-Nice and can afford to take the final climb at his own pace as he is bound to recoup any losses on a conclusion which suits his abilities well. There is no doubt that Rigoberto Uran’s once well poised placing on the general classification has come crashing down upon him, now leaving him with only stage wins to resurrect his Tour de France. Having already featured in a significant move already, it seems likely that the Colombian will fancy his chances on a stage which strikes a nice balance between climbing and descending, before possibly ending in a reduced sprint amongst climbers; of which he would be a favourite to win. Another rider wishing to save his Tour de France was originally France’s best shot at the yellow jersey this year, Thibaut Pinot. There is little doubt as to Pinot now finding his way into the sort of climbing form we are more accustomed to seeing from him and he will have a strong focus upon taking a win in his homeland’s Alpine region. The obvious hangup when backing Pinot for the day is the circus which surrounds his supposed inability to descend, much of which emanates from a fear of high speed crashes. Another member who currently sits within the top ten overall is Alejandro Valverde despite supposedly here to back his leader Nairo Quintana 100%. Putting his team playing abilities to one side for the moment, Valverde currently appears very strong in the climbs and bolsters a renowned ability to finish off a day like this with his rapid sprint. Given his talents at descending, there is a chance he will be employed as a way of applying pressure to Chris Froome, attacking on the downhill and forcing the Brit to give chase. If a group of general classification riders does come to the line first and decide the win, Valverde is an obvious choice to emerge victorious in Gap. Rest day number two came after another significant shake up of the general classification; the individual time trial and Stage 15’s mountains seeing Alberto Contador and Mikel Landa strut their stuff while others suffered badly. Though the likes of Fabio Aru and Rigoberto Uran lost time in the race against the clock, Richie Porte suffered the biggest hit of all, eventually succumbing to his injuries from Stage 14 and abandoning the Giro d’Italia during the rest day. The peloton now see their gaze filled by the looming presence of the big mountains in the final week’s racing and nothing looks certain when it comes to the general classification come the finale in Milano. Considered the Queen Stage by many, the 177km ride from Pinzolo to Aprica includes five categorised climbs, all of which are expected to impact upon the general classification as we enter the Giro d’Italia’s final week. A gruelling mixture of steep inclines and arduous ascents, Stage 16’s survivors will end the day with a grand total of 4,500m of climbing under their belts at the finish in Aprica. The peloton are forced upwards as soon as they have departed from Pinzolo, opening their accounts for the day with the Category 2 climb of Campo Carlo Magno; 13km in length at an average of 6.7%. 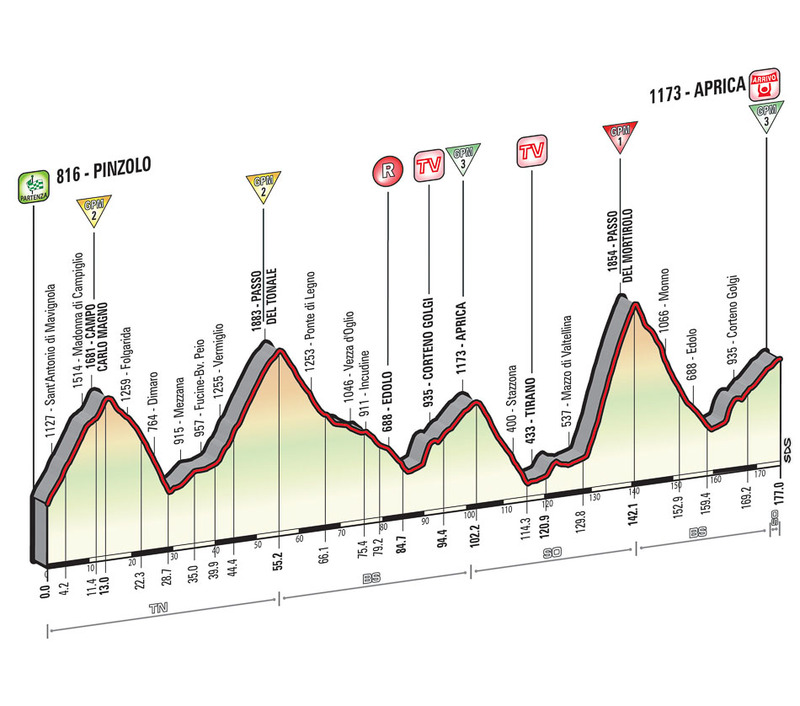 From here they drop down through Dimaro and begin the day’s second ascent around the 28km marker; these brutal starts becoming a recurring feature of the Giro in recent editions.  At 15.3km in length, the climb of Passo del Tonale is the longest ascent of the day for the riders, grinding them down with an average of 6.1% which touches 10% on occasion. The subsequent descent takes them down towards Edolo where they shall immediately begin climbing once again, this time a Category 3 challenge which drags them up to the day’s eventual finishing town of Aprica. The climb itself is surprisingly long at 14km when compared to its appearance on the race card and could be somewhat underestimated as it does briefly include ramps of 15% beyond the average of 3.5%. Yet another rapid descent is then required as they dive down towards a relatively flat section near Tirano and begin to see the day’s biggest challenge loom large ahead of them. The Mortirolo pass will deliver a sledgehammer blow to the massed ranks of the peloton, cracking many and leaving us with the clearest indication so far of who has the legs to finish top ten in Milano. Approaching via the Mazzo di Valtellina will ensure this climb becomes a war of attrition from the first pedal stoke, its opening kilometres siting at 13% early on. The Category 1 Passo del Mortirolo’s average gradient of 10.9% is a leg numbing 11.9km in total and possesses a potent sting in the form of 18% ramps before they have even completed 5km’s worth of climbing. From there it is an average of 12.2% until the final 4km which begin decreasing somewhat to 9.2%, the sort of gradient which is never usually welcomed, but here it must seem like a plateau for some. It is on these slopes that the outcome of the stage will be decided, along with the ambitions of those aiming to finishing top ten on the general classification or even challenge for a podium. As fatigue sets in, the riders shall need to stay alert during a technical descent which leads them back to Edolo once again and onwards to the same climb back to Aprica ridden earlier in the day; this time the 14km ascent shall decide the winner of the Herculean Stage 16. The road to Aprica is constructed to force the strongest climbing talents to the top of the pile, Passo del Mortirolo’s steep slopes set to lure Alberto Contador into action. Despite appearing a class above his rivals here, the Spaniard has stated he intends to measure his efforts closely, aiming to line up on the Utrecht start line in good condition for this year’s Le Tour de France. Now this might mean he does not necessarily leap at every stage winning opportunity which comes his way in the final week, but it is hard to imagine he would be happy to accept the final maglia rosa in Milano having secured overall victory without a single stage win. So far nobody has been capable of dropping Alberto Contador when it matters most, giving the impression that his presence in an elite group deciding the win seems certain. Possessing such a dominant lead on the general classification already, he can look to simply cover the expected attacks from Fabio Aru and Mikel Landa, allowing them to tire themselves before he dashes clear of them at the end of this wearing day. Fabio Aru‘s best chance of taking the win into Aprica is to ensure a small group arrives to the final kilometres first, one which he can sprint from where he should be guaranteed of being the fastest man. It would come as little surprise to see this group being as small as three riders; Alberto Contador, Mikel Landa and Aru himself. In this situation, Landa would have no reason to follow a late sprint from his teammate, leaving Contador to make the running entirely on his own. Of course, this is only possible if the Italian can survive the midsection of this stage in good condition, the Passo del Mortirolo could become a nightmare for him as the incredibly sharp gradients see Aru struggling for position in the pack. 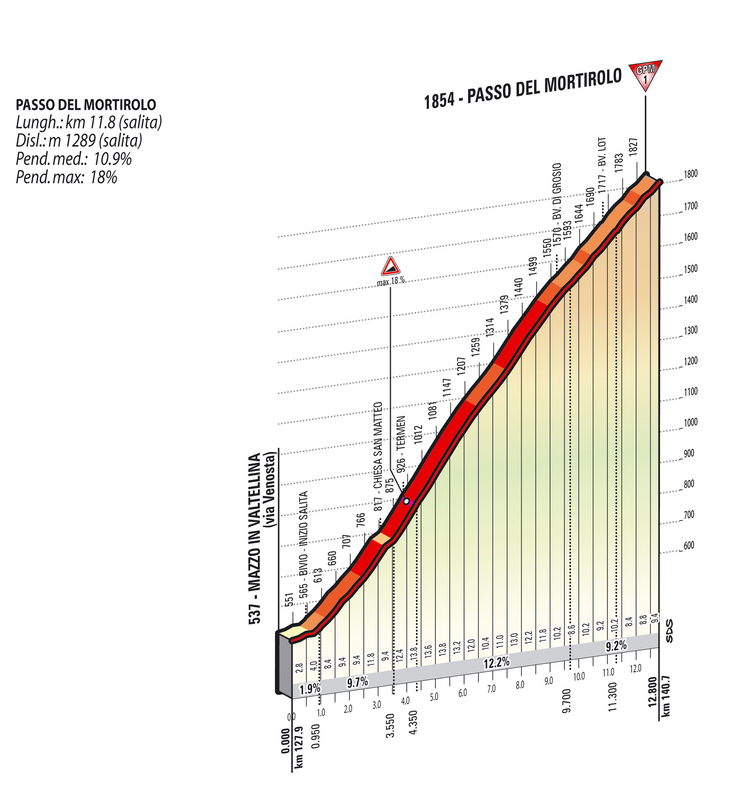 Should this happen to the Italian, his chances of then avoiding time losses are unlikely, conceding ground atop Mortirolo will be extremely difficult to make up on a day where you are either descending or climbing throughout. For Astana, the best option of forcing Contador to the sword is Mikel Landa, a fearless rider when placed upon the ruthless gradients of Mortirolo which should shatter the bunch. His performances so far have been an unexpectedly strong showing for Astana and they now have the option of a second form of attack against Contador. Clearly the strongest team here, Tanel Kangert and Dario Cataldo are two such riders which can be called upon to increase the pressure upon the maglia rosa during the ascent of Passo del Mortirolo, upping the tempo in hope of isolating the Spanish race leader. Landa marginally distanced Contador on Stage 15 to take the win, but many would suggest that the previous day’s individual time trial efforts for Contador were much greater than that of Landa’s; though it still appeared that Contador could not chase, rather than did not chase. The finish itself is not overly suited to Landa and it is difficult to imagine a situation which he would win from; coming to the line with Contador and Aru would surely mean allowing his leader to attack, while a successful breakaway would leave him him out of contention entirely. Regardless, he has made a strong case thus far of being the best climber here, but it remains uncertain if Mikel Landa’s consistency can be maintained. The breakaway has a good chance of staying away on this terrain once the pass of Mortirolo has been completed, especially given the amount of mountains classification points available during the day in the battle for the blue jersey. Considering this fact, Beñat Intxausti seems certain to be part of any such breakaway which makes it up the road, in an attempt to either defend his lead or further extend it. This year’s Giro d’Italia has witnessed some of his best ever climbing form and there is nothing to stop him from almost wrapping up the blue jersey victory on the road to Aprica if he picks the right move. He finishes well, but the need to collect points could blunt this factor somewhat during the day, but a finishing group including him will need to be aware of this in form rider stealing the stage win. Intauxsti’s most prolific rival in the competition has been the Colombian rider Carlos Betancur, a man who seemingly knows how to get into the best breakaway day after day. His survival on the day’s steepest climbs should be assured and his sprint finish is better than expected for a man so synonymous with mountain prowess. With the easier gradients to the finish line, Betancur could attack with a potent sprint and finally secure his Giro stage win which he has been pursing since the roads started heading skywards. A man well worth watching on this type of terrain is LottoNL-Jumbo’s Steven Kruijswijk, seeking a stage win after several noteworthy performances so far in the breaks and behind the big names of Stage 15. 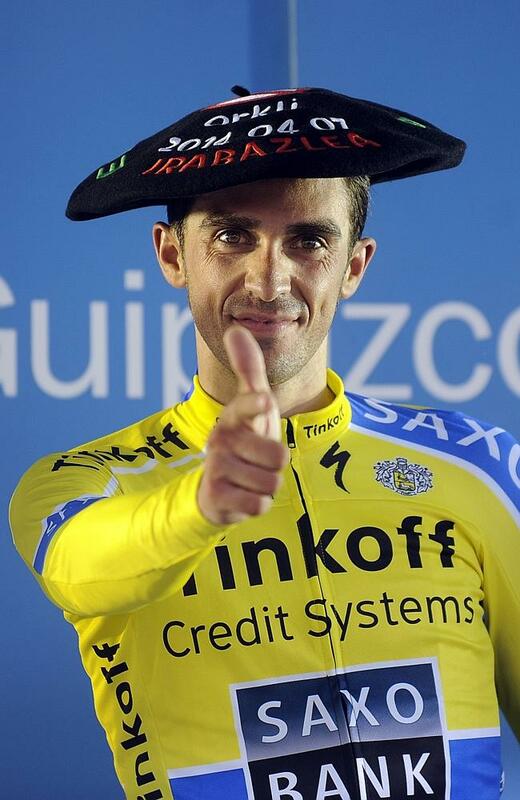 Though his ambitions here were originally to secure a respectable general classification position, he is now so far back on Alberto Contador that a move by him would surely be allowed to go unanswered. The Dutchman has no issues with approaching these stages solo and is a notoriously difficult man to bring back once he gets the bit between his teeth. Given the blend of skill and his current general classification placing, Steven Kruijswijk is a threat to anyone with their eyes on winning Stage 16. The composition of any breakaway which makes it all the way to the line in Aprica is fancied to contain the familiar mix of breakaway hopefuls which we have become familiar with during 2015’s Giro d’Italia; Stefano Pirazzi, Ryder Hesjedal, Sebastien Reichenbach and Giovanni Visconti could all feature if the mood so takes them. With a general classification which looks certain to experience another serious shake up in this last week, close attention will be on Andrey Amador, Leopold Konig, Damiano Caruso and Alexandre Geniez to cement their current positions on the general classification during this brutal stage. Once again the stage outcome looks set to be decided by the fight emanating from Alberto Contador, Fabio Aru and Mikel Landa; their recurring ‘two against one’ battle in these mountains proving the deciding factor for the break. Astana look likely to burn their matches early on the ascent of Passo del Mortirolo in an attempt to isolate Alberto Contador for the rest of the day’s remaining climbs. This should set up Astana’s Mikel Landa and Fabio Aru to work Contador over in an attempt crack him and gain time, or at least cook him ahead of his Tour de France battle with Vincenzo Nibali. Fireworks are expected from these big names, but a breakaway could find themselves given the green light by Tinkoff-Saxo and Astana to fight it out amongst themselves for the win. In this situation those motivated by mountains classification points are sure to be represented in the move, so Carlos Betancur and Beñat Intxausti should be involved. However, it is Steven Kruijswijk who appears to be the most enticing mix of talent, form and motivation for Stage 16. The Dutchman goes well on these sorts of climbs and has proven to be competent in the break, as well as being one of the first home after the likes of Alberto Contador and Mikel Landa; this could be his best chance of a stage win at 2015’s Giro d’Italia. 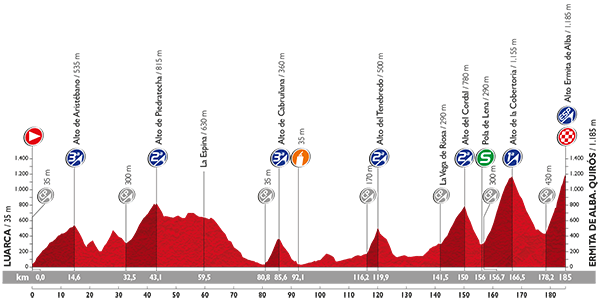 Today is the toughest stage of this year’s Vuelta and the climatic finale to the last two day’s in the mountains. Despite not appearing to be on 100% form, Alberto Contador has ensured that the Red Jersey has remained upon his shoulders’ without looking in great distress at any point really. With five climbs over the 160.5km of Stage 16, the peloton will be blown to smithereens as the major protagonists remain fighting at the front of affairs late on. From San Martin del Rey Aurelio to Lagos de Somiedo, the day will stretch the riders across the only stage at the Vuelta which is packed with climbs instead of just the usual summit finish. Fireworks are expected once the favourites hit the La Farrapona finale, but whether anyone will have the legs to make a Vuelta winning attack is a big doubt after five Category 1 climbs. On a normal stage the first four climbs of the day would attract a decent amount of attention upon viewing, but all the focus here is instead drawn by the last climb – La Farrapona. This climb stretches on for 16.5km, the longest of Stage 16, but not necessarily the hardest with the gradients being predominantly single digit. However, it will be hard for most to find a rhythm as these gradients do fluctuate throughout, on occasion swinging by 7% in a short period of time. It does ease before the immediate finish; though to get there will mean a last 3km which includes 12% ramps. The Vuelta Could Be Won Or Lost Here. Instead of the three musketeers of Alejandro Valverde, Alberto Contador and Joaquim Rodriguez conspiring to ride Chris Froome out of his podium spot, the trio spent too much time watching each other and prevented real gaps from opening. Froome certainly did not appear to maintain his resurgence in form, but to suggest he looked weak on Stage 15 would be a great overstatement. Alberto Contador had Alejandro Valverde and Joaquim Rodriguez firmly stuck to his rear wheel today during his repeated digs and despite clearly towing them to the line, he still failed to make them work hard enough for that privilege; instead fearing attacks from over his shoulder. Valverde and Rodriguez really could have capitalised upon this anxiety yesterday, but perhaps the fear of today’s climbs prevented the major contenders from doing just that. A deciding factor when it comes to the fight for the red jersey could well be the strength and depth of each contender’s teams. Out of the top four, Alberto Contador would seem to have the weakest support network, Katusha for Rodriguez and Movistar for Valverde perhaps sharing the honour of strongest. If on an individual level it seems impossible to topple Contador, it could mean a huge team effort by Katusha, Movistar or Sky to blow him out the back. Alberto Contador will still be the favourite here today, not only because of the finish, but due to the immense amount of climbing throughout the entire day. The reason why Rodriguez and Valverde failed to make the most of Stage 15 might just be that they felt they could not, a confident rider would not have feared a Contador riding below 100% and surely attacked. By placing all their hopes of taking the red jersey here means Contador can afford to sit back and wait for Valverde and Rodriguez to go on the offensive. If this happens, he will surely follow the wheels before counter attacking in the final 2km – 3km as a way of securing the title alongside a stage win at last. Valverde was strong on the previous day and will surely rue not attacking as La Farrapona does not look like the sort of terrain he could take time, only lose it. Should the trio of Spaniards spend their time attacking one another hard, Chris Froome could gently drag himself back into contention, but a stage win is a step too far. A high placed rider who might just be allowed the distance very late on is Fabio Aru, the long day in the mountains will create a more level playing field for him come La Farrapona and looks a chance for the stage win.